To call Fish & Game chef and owner Zakary Pelaccio – the 2016 James Beard award-winner for the best chef in the Northeast – detail-oriented would be an understatement. Along with his partners, Jori Jayne Emde and Kevin Pomplun, he has made a name for himself by combining the freshest local ingredients with time-honored preserving methods. For their Hudson Valley restaurant, backed by Patrick Milling Smith, Michael Davis transformed a former 19th-century blacksmith shop into a space that’s as meticulously designed as the husband-and-wife team’s ever-changing menus. Praise followed soon after the doors opened and the eatery was named a finalist in the 2015 James Beard Foundation’s Outstanding Restaurant Design Awards. Step inside and you’ll notice touches from Provenance everywhere. 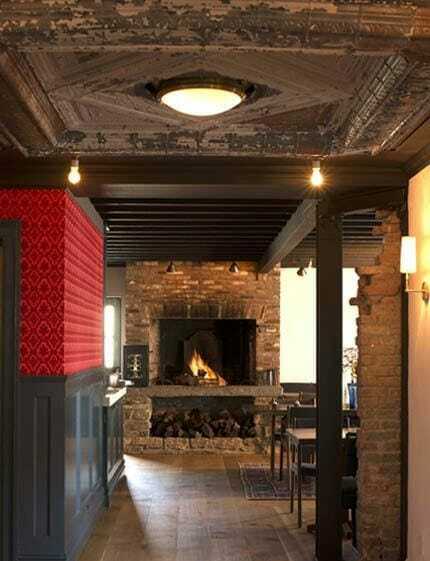 Scarlet red wallpaper from a Philadelphia florist blazes as vibrantly as the fire crackling in the restaurant’s hearth on winter nights. Mid-century lighting from a South Philadelphia church shines down on cooks plating seasonal dishes and if you gaze up, you’ll see pressed tin tiles adorning the ceiling. Servers patter across Provenance’s wide plank white oak flooring and brew espresso on a countertop made of reclaimed marble from Independence Mall. 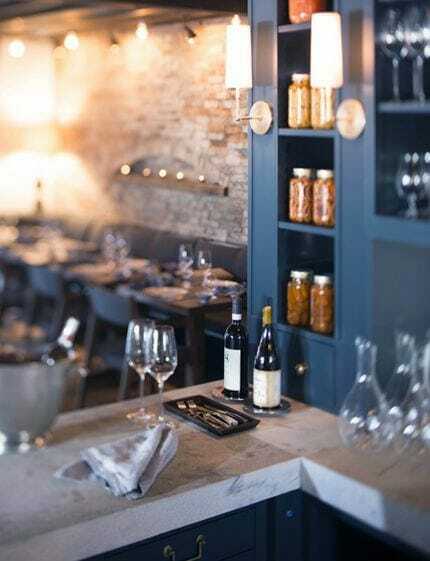 Diners pass through industrial fire doors pre-hung and fitted with custom hardware by Provenance. Doors from Louella House, a Victorian mansion in Pennsylvania, mark an additional passageway. 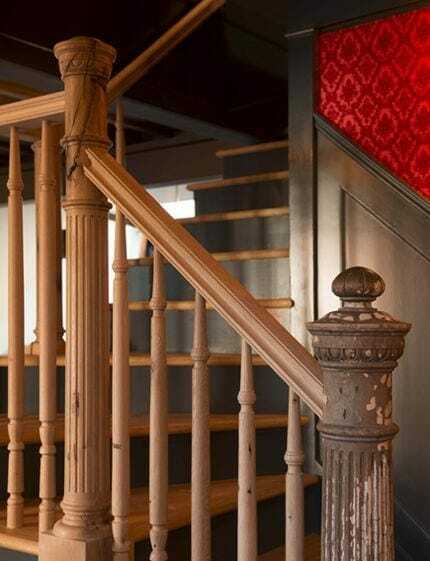 Provenance also provided reclaimed wood for staircase spindles that were turned by a Hudson craftsman. Those that climb the steps to the private dining room run their hands over them, adding to the weathered feel.